We are truly lucky to have so many volunteers helping out at these new food forests in the City of Ottawa, but there are a few early contributors that need an extra special thanks. 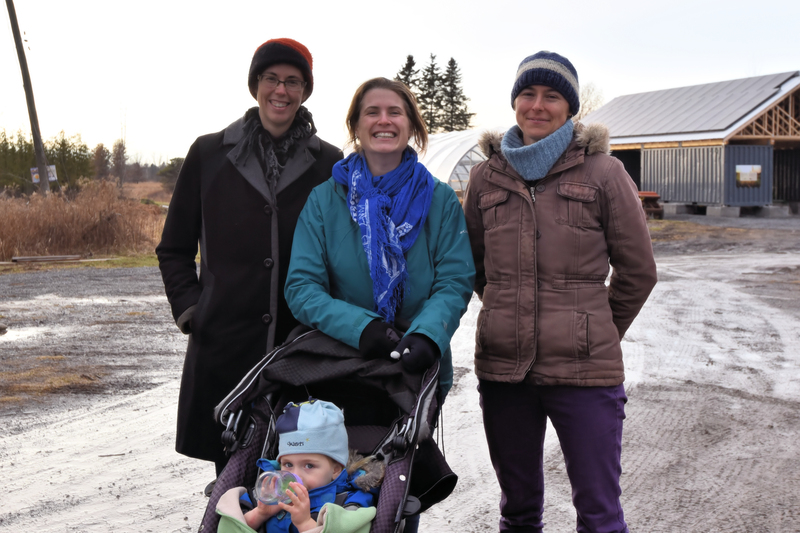 We put the call out early in the year to the Ottawa Food Forest Exchange (a Facebook Group dedicated to bringing together folks in Ottawa that want to help each other out with their food forest projects, exchanging cuttings, perennials, mycelium, and seeds). If people had edibles to plant in community food forests, we wanted them. Boy, was there ever a wonderful response! Thank you to Joanne for the paw paw seedlings, Sundaura for the wonderful perennial seedlings, Katrina, Sarah, and Isabelle for many young, grafted fruit trees. Sundaura, Isabelle and Sarah pictured above, during a visit to the redbarn forest this past weekend. Such great work and even greater camaraderie! It will be wonderful to watch these new donations grow! Also, a great thanks to Ryan, Philippe and Phil for some early and sustained efforts to plant a lot of serviceberries, blueberries and other trees.